Once the years of dirt were cleaned away, the piece entitled 'Face in an Oval' was discovered to be made by Picasso as part of a larger series in 1955 whilst in the South of France. Stuart Slavid of Skinner Inc, who specialises in European furniture, silver and ceramics, valued the plate to be worth between $10,000-15000. 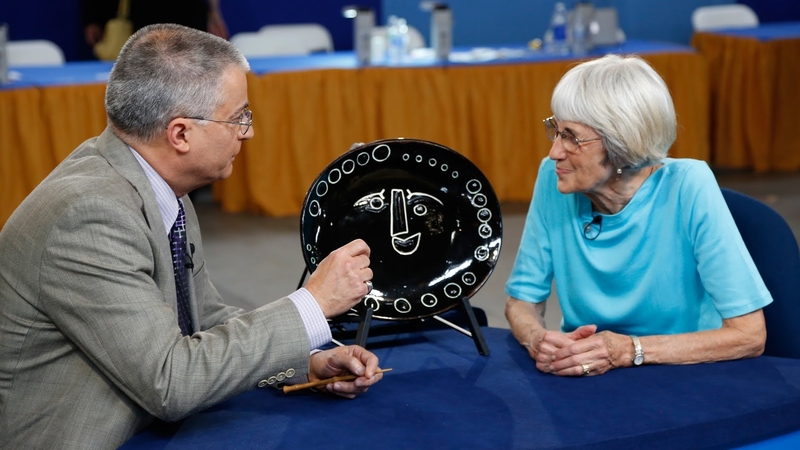 He explained on the US version of The Antiques Roadshow the high appraisal of the piece reflects the popularity of Picasso ceramics in the current market.